Scribe Labs Runscribe Plus Running Analysis::Every athlete requires feedback to perform at their best. 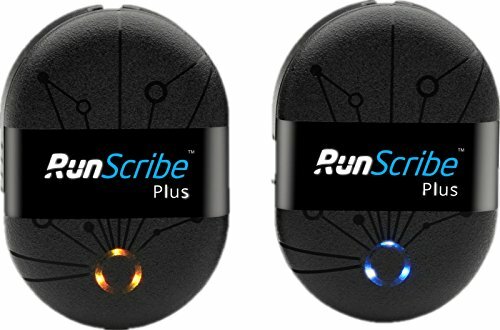 The Scribe Labs RunScribe Plus Running Analysis assists in improving your training and avoiding injury. The system measures efficiency, motion, shock, symmetry and power. Clinicians, coaches and academic researchers around the globe trust RunScribe to deliver consistent and accurate metrics. Let the data drive smarter training decisions. Compatible with Android 4.4+ and iOS 9+ smartphones, along with Garmin Connect IQ (Forerunner, Fenix, and Vivoactive), and Suunto (Ambit, Spartan) watches. Propel yourself forward. If you have any questions about this product by Scribe Labs, contact us by completing and submitting the form below. If you are looking for a specif part number, please include it with your message.